(July 28, 2017) – Gwladys Nocera, one of the most successful golfers in Ladies European Tour history, has been announced as the captain of the LET team for The Queens presented by Kowa, to be staged at Miyoshi Country Club in Japan, on December 2-4, 2017. The Frenchwoman will lead the LET team in the third annual contest against the Korean LPGA, LPGA of Japan and Australian Ladies Professional Golf (ALPG) tours. 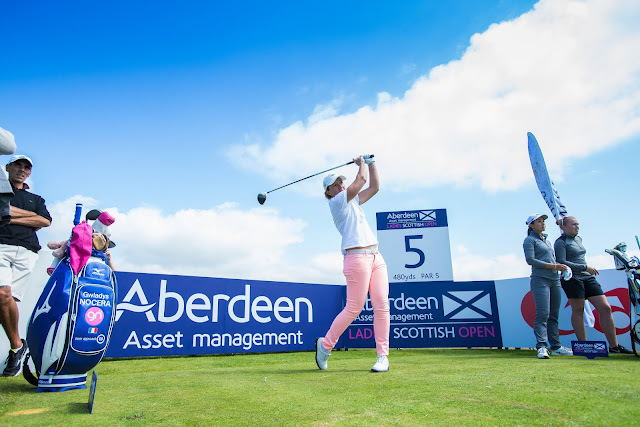 Nocera represented the LET as a player in the event in its inaugural year in 2015 and will follow in the footsteps of Laura Davies and Trish Johnson, who led the LET teams in 2015 and 2016 respectively. Speaking about her appointment, Nocera said: "It's a big honour. I wasn't expecting anything like this and it was a very good surprise. Of course, I said yes right away. As a player and as a person, it's a big thing, and I'm really glad I'm going to do this. I think the role of a captain is to bring the team together, make people happy and make the right pairings." Nocera turned professional in 2003 and her meteoric rise to prominence began in 2005, when she made her first Solheim Cup appearance – memorably defeating Cristie Kerr in the singes as a rookie - and finished fourth on the LET Order of Merit. She won the first three of her 14 LET titles in 2006, before collecting two more in 2007, when she once again represented Team Europe at the Solheim Cup. The year 2008 was her most successful on tour, when she won the Order of Merit after five tournament victories. She also set several new all-time records on her way to winning the Goteborg Masters at Lycke Golf Club in Sweden. She returned the best 72-hole score in the LET's 30-year history, 29-under-par 259, which broke Laura Davies' previous record in relation to par of 25-under 267, set at the 1995 Guardian Irish Holidays Open at St Margaret's. Nocera represented Europe for a third time in The Solheim Cup in 2009 and then, after five consistent years, she returned to the winner's circle with two wins in 2013. She then won again, in India, in 2014 and finished the season ranked second on the order of merit. In 2015, Nocera claimed her 14th and most recent title, at the Lalla Meryem Cup, in Morocco and qualified to make a fourth Solheim Cup appearance in Germany. In 2016, she achieved her ambition to represent France in the Rio Olympic Games. Although still very much competitive, she is looking forward to the new challenge of leading the LET Team at The Queens presented by Kowa. The LET Team will consist of nine players from Europe, the Middle East and Africa (EMEA) including the Captain, the top six eligible members from the LET Order of Merit and the top two eligible members from the top 100 of the Rolex World Rankings. The final qualification tournament will be the Lacoste Ladies Open de France on October 5-8, 2017.